I Don’t Feel Good | Food It Yourself! No, it has nothing to do with the election tomorrow, although the whole political scene of 2016 gives me agita. I might be fighting off some errant virus I encountered at work. Or, congestion from my fall allergies might have fermented into a mild sinus infection; possibly an ear infection, too. Either way, the right side of my face feels like it is going to explode, my throat is sore and I have zero energy. So this is going to be short. Besides dabbing tiger balm under my nose, keeping warm, and trying to get extra sleep I am indulging in some favorite feel-better comfort foods. My first favorite is hot lemonade. This was my mom’s go-to solution when we felt snuffley as children. 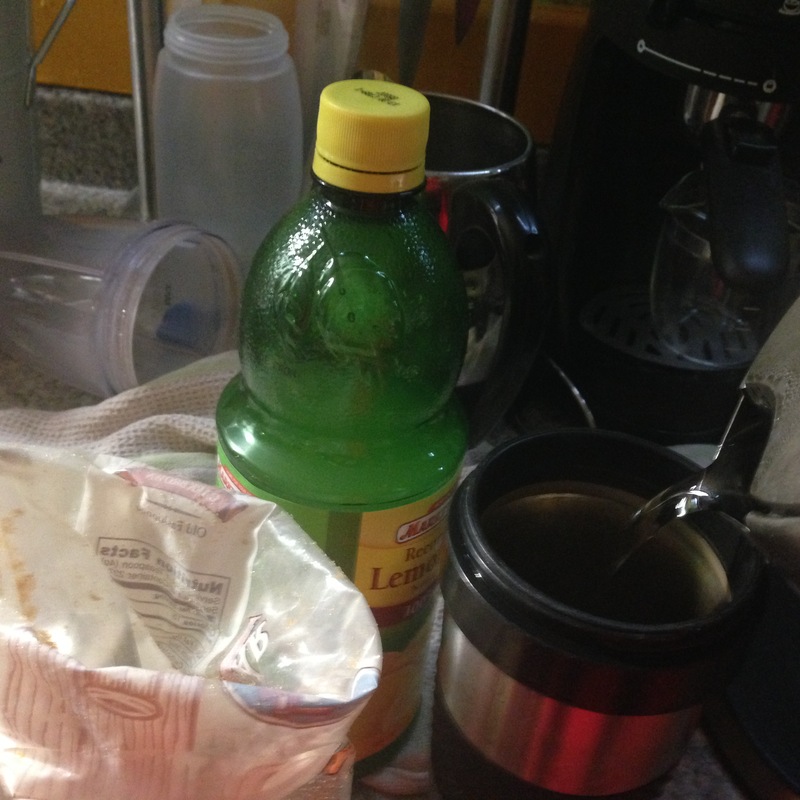 The recipe is really simple: 2 tablespoons of lemon juice (yes, the kind from the bottle is fine) 8 ounces of hot water, sweeten to taste and sip. I made a double dose. I started getting chills. Obviously, I have been eating a lot of soup. You know I like to make soup, right? Like chicken soup, and tomato soup and minestrone and pho? Yeah, you read all about those already. Soup makes people feel good. It think it is encoded in our DNA.